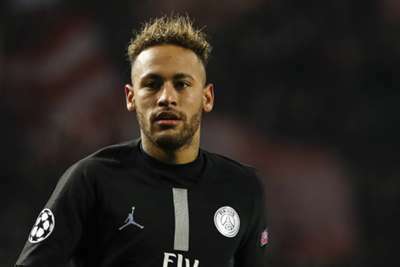 Neymar is not likely to leave Paris Saint-Germain at the end of the season and is in talks with the Ligue 1 giants over a new contract, according to his father. Barcelona have been linked with a return for Neymar, who became the world's most expensive footballer when he joined PSG in a deal worth €222million in 2017. Real Madrid are also reported to be keen on buying Neymar to freshen up a forward line that has struggled to step up following the sale of Cristiano Ronaldo to Juventus. The 27-year-old's father, however, said Neymar - who is sidelined by a foot injury - is not looking to leave Paris. "He still has three years to go before the end of his contract," Neymar's father said to Brazilian outlet UOL. "And we are already talking about an extension. "The probability that he does not leave is very great. People say that Neymar is in all the rumours of a transfer to big clubs at every transfer window. "It does mean that there is good management of his career, he is always among the names. But that does not mean he's going to go to one club or another."